you are not being loyal to yourself!" "It's as if he's transported himself to your house and personally encourages you to trust and believe in your own ability and responsibility to live a truthful and fulfilling life." I want to thank you for coming to our web site and hope you have the best experience possible learning about yourself...and how you can have a solid two-way communication with your own angels. I invite you to look at the experiences of people who have sent us testimonials. These are real people who are putting these tools and techniques into practical use - every day of their life. Please contact us if you have any questions and we will be glad to answer them for you. P.S. For those of you who are interested in sharing more what you have learned about your spiritual gifts and how to contact your personal angels, we will train you how to conduct classes in your own community. For more information, contact Germaine at communications@innerexpansion.com. We look forward to sharing with you! guardian angels! Your guess is as good as ours! website and can find no 4/Four Wells Kansas or Tornado of 1916." 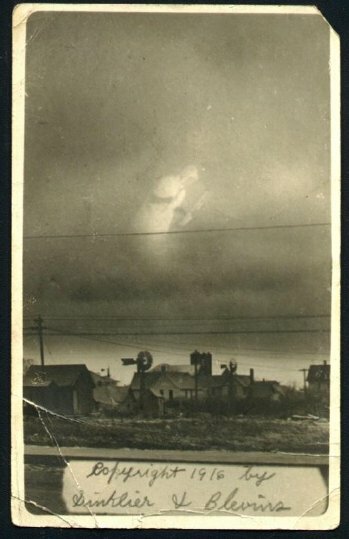 The Doidge angel photograph was found on some film Danny Sullivan purchased at a British junk shop. Accompanying the film were several letters from the 1950s that related stories of angel sightings dating back to World War I. The letters had belonged to William Doidge who had written an American soldier named Doug whose friend had seen an angel appear above a Gloucestershire lake prior to twenty soldiers dying there in a bridge collapse. 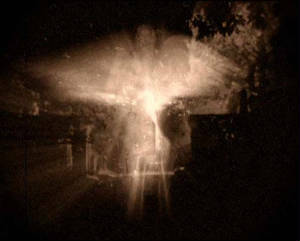 Doidge searched Woodchester Mansion for the angel and in 1952, he captured this amazing angel photograph. ANGELS CAN PROVIDE HELP AND PROTECTION DURING PARANORMAL INVESTIGATIONS, JUST ASK!